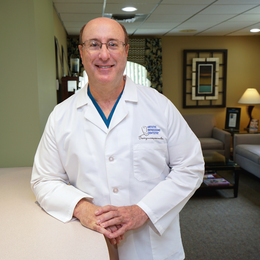 In almost 40 years of practice as a cosmetic dentist, Bruce Wilderman, D.D.S., has given equal billing to style and substance. Building a beautiful smile, he believes, requires thoughtful collaboration and a ceaseless desire to perfect every last detail. In his mind, a dentist must not only have an artistic eye but also rely on proven science to inform every decision he makes. In order for his work to stand the test of time, Dr. Wilderman says he must approach it by thinking like a scientist as well as an artist. So Dr. Wilderman is perplexed when he hears stories from patients who suggest they have had less-than-spectacular care in the hands of prior dental professionals. Such an experience is foreign to the folks at Artistic Expressions. Dr. Wilderman works backward from the desired result, meeting with each patient a minimum of four times to provide them with the perfect smile. After a patient discusses their hopes and concerns, Dr. Wilderman crafts an individualized treatment plan. He then pairs this information with data gleaned from the patient’s dental records and X-rays to create a computerized, 3-D representation of the expected result. A wax model is then fit to the patient’s mouth to measure aesthetics and functionality. When Dr. Wilderman and the patient agree that everything looks and feels great, he provides specifications to a ceramist at an off-site lab to create the porcelain veneers, dental crowns or dental implants. On the third meeting, he provides beautiful temporary teeth that serve as a template for what the patient will ultimately receive. For the fourth meeting, he places the permanent teeth to make sure the patient is happy with the finished product. Forget about hoping the patient’s smile looks and feels right. It is right. And while some dentists are tempted to over-treat patients, Dr. Wilderman believes “less is more,” doing the minimum amount of dentistry necessary to give the patient the results they seek. In one recent example, an 18-year-old woman came in for a visit to treat a darkened front tooth. The patient insisted on a crown and three veneers on her four front teeth. Dr. Wilderman convinced the patient and her mother to simply bleach the problematic tooth. Everyone walked away satisfied with the end result. Every day, Dr. Wilderman finds joy in his work. Each patient leaves with a beautiful smile, ready to greet the world.